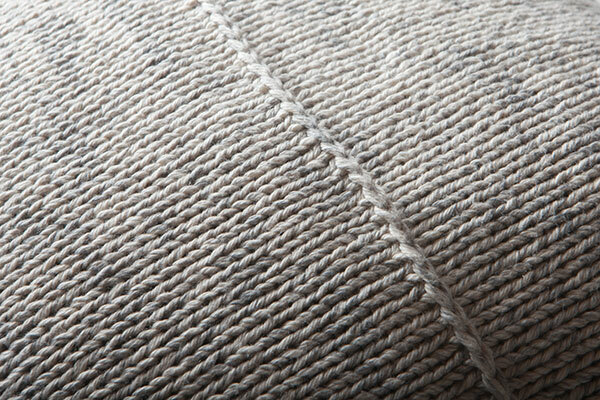 Add a contemporary splash of texture to your home decor, in a luxurious pattern inspired by basketwork. 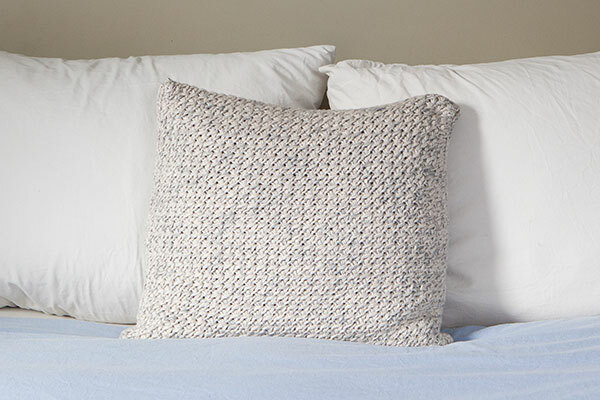 A Herringbone Stitch is worked on the front and stockinette stitch on the reverse combines with subtly sprays of color for a variety of pleasing textures, both visual and tactile. 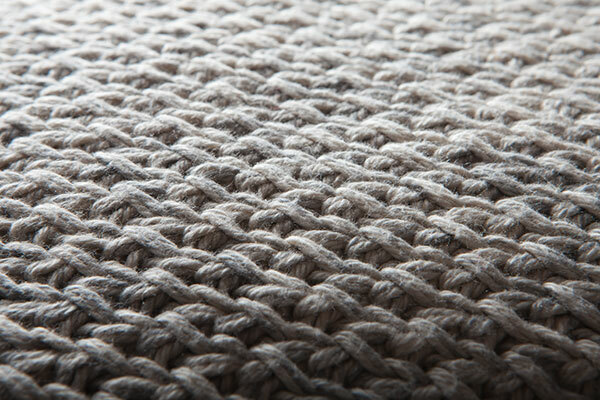 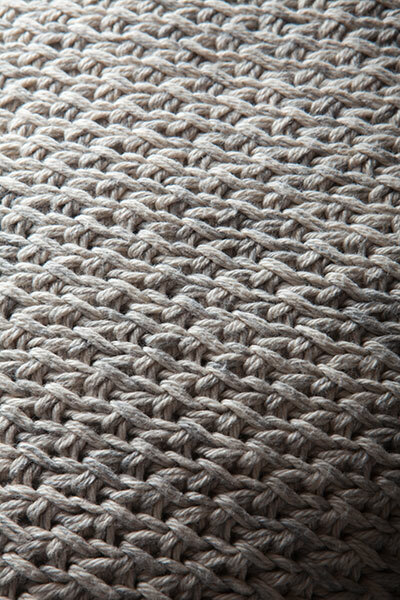 The Textured Cushion cover is worked flat in one piece with yarn held double throughout. 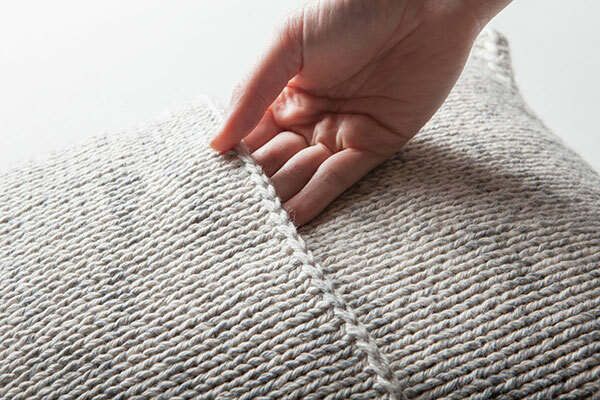 After binding off, the piece is folded and seamed at the sides so that the ends overlap on the back, creating an open flap to easily insert and remove pillow form.